Continuing the Sunday Stamps A-Z, U is for United Nations. 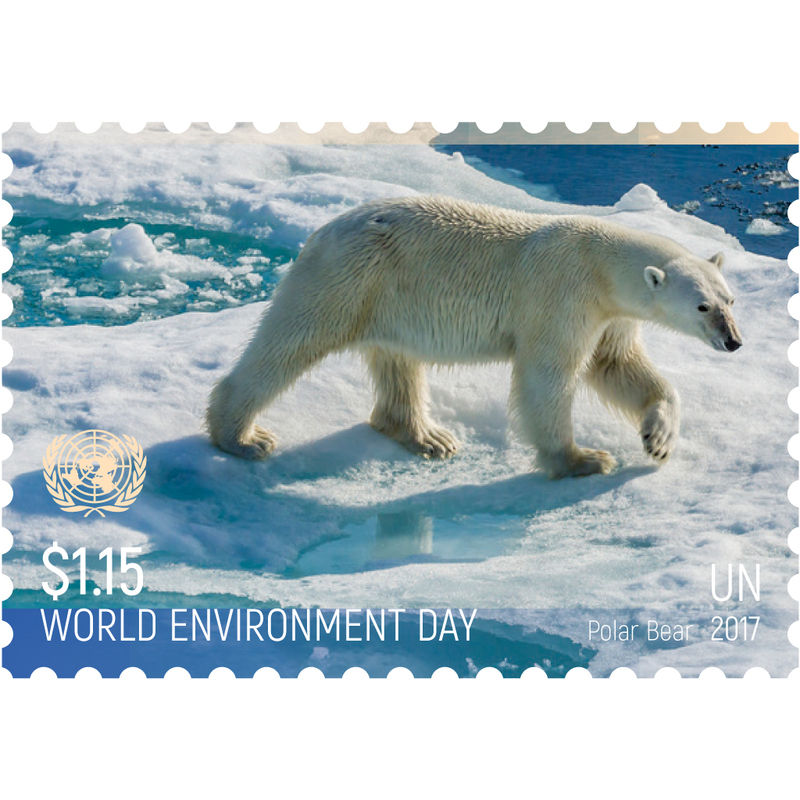 I have shown several of my favorites in the past, so for this week I have a 2017 stamp that celebrates World Environment Day with one of my favorite animals, the polar bear. 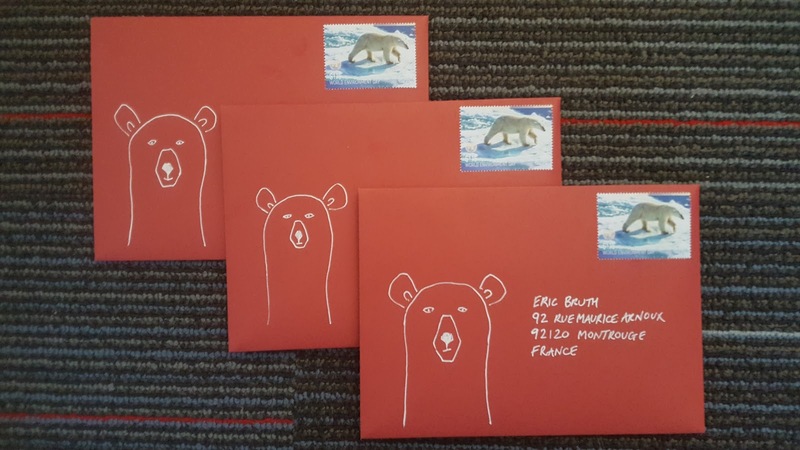 Sent to Eva, Heleen and Eric with a little bit of art on the envelopes. For more stamps with a U theme, head over to the links at Sunday Stamps. Thanks to everyone who has stopped by the blog to browse and comment - it is all appreciated. Have a safe, fun night tonight, and best wishes for an awesome 2018. The polar bear would be right at home with current weather here. Hope it's warmer where you are. Happy New Year! It has been bloody freezing here - probably not as cold as you, but once it is in the negatives, it all feels terrible! At least browsing the web with a cup of cocoa in hand is a good way to spend the day. Dans 5 heures nous serons en 2018 et je te souhaite une bonne et heureuse année ! J'espère que tu as reçu ma carte de Noël ,j'ai mis un joli timbre d'ours polaire sur l'enveloppe ! Ici le temps est très doux pour une fin décembre et c'est inquiétant ! J'aime beaucoup les belles enveloppes que tu as envoyé !Happy new year ! Your card arrived yesterday... I don't know where it has been on its long journey here, but it was in very good condition - thank you! Received your great Polar Bears - the stamp and I love your drawing! Thank you vey much, and also for you and your dear ones a wonderful 2018! Glad you liked it, thanks for the nice wishes. I bet she is nice and warm with that coat!! And, maybe I have wrong info regarding using these stamps after all?! It made a wonderful letter to get! Love your alert bear. Gorgeous stamp and the perfect choice by the UN to highlight the environment. Stamp of the week. What a magnificent animal. Glad you're enjoying the stamp, polar bears are one of my favorite animals.